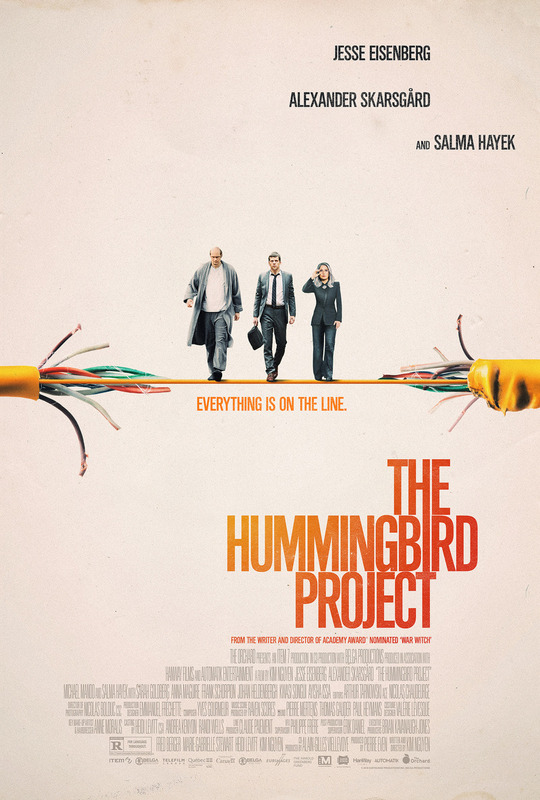 The Hummingbird Project DVD and Blu-ray release date not announced and available on Digital HD from Amazon Video and iTunes on June 11, 2019. Meet Vincent and Anton: two gambling enthusiasts bound by their cousinly love. Their game of choice, High Frequency Trading, is a high-stakes poker game in which winning is obtained in mere milliseconds. Driven by their desire to build an optic-cable between New Jersey and Kansas, Vincent and Anton are two men of lofty ambitions. Unfortunately, one hindrance stands in their way: their domineering former boss, Eva. However, Eva's craving to foil their plan pales in comparison to Vincent and Anton's insatiable appetite for money, land, and vindication. DVDs Release Dates is the best source to find out when does The Hummingbird Project come out on DVD and Blu-ray. Dates do change so check back often as the release approaches.